This book has hardback covers. Ex-library, With usual stamps and markings, In fair condition, suitable as a study copy. Dust Jacket in fair condition. I loved this book. I started reading it on a very rainy spring night which really added to the mood of the book. I finished reading it that same week and it rained every night and day (we had a flood). The book was hard to put down and I during the times I wasn't reading it I found myself thinking about it, questioning, wondering 'what will happen next?' I'd recommend this book to anyone who enjoys a little scare. This book was exceptional. From the moment I began reading I could not put it down. Every twist and turn in the story keeps you wanting to read on. The storyline keeps the pages turning with only the mystery and suspense that Dean Koontz can provide. 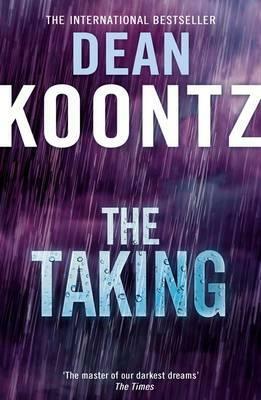 If you like the writings of Steven King then I highly recommend this book and others by Dean Koontz. This is a great Koontz book. His story telling is detailed, yet not bogged down in them. It rolls along so quickly you will find that you can't put it down. It has a level of mysticism that could almost be religion, but not quite. It does not require you to believe in God or any other religious figure. It is simply a great story. Imagine the world ending, but not knowing what caused it. You are just 'left'. That is what this book is about. I could not put this book down and read it all weekend long. It was so intense and mysterious with a wholesome ending. Basically, there is something perculiar in the air, something unknown and frighting going on everywhere in the world, children are untouched my the presense yet are still in danger by the adults being affected by the presense. I really like the idea that there were some adults that were attempting to protect the children and because of this those adults also seemed to be untouchable by the presense. This book is reglious in ways, but not according to normal beliefs, but the children and the child protectors were the only ones that could be safe during this horrific event that took place in approx 24 hours. Souls were being captured from a dark force in the unknown. Very intense and suspenseful.